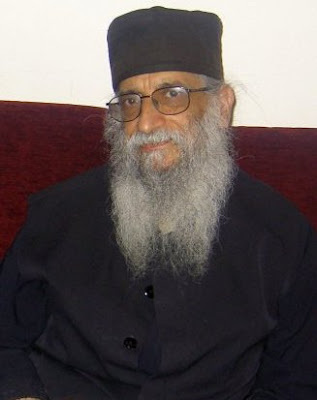 Finally, after a long wait, following the repose of Metropolitan Elias Kurban of blessed memory, a new angel was chosen for the diocese of Tripoli, Koura, and their dependencies, on Wednesday, October 6th—the monk Archimandrite Ephrem (Michel) Kyriacos. What do you mean by patience with God? I believe that the ideological opposites -atheism and fundamentalist religion-often share the same fallacy: truth claims that reek of false certainties. I also believe that there is an alternative that actually matches the way life is lived rather than how we usually talk about belief. I call that alternative "hopeful uncertainty." Patience with God is taking the time to discover hope in paradox, not demanding answers but rather finding God in ordinary life. Why do you think people aren't more patient with God? Because of the people who speak in God's name basically being our national village idiots. St. Mary Orthodox Church on the evening of Saturday, December 5, 2009. Great Vespers will begin at 5:30pm, followed by the lecture at 7pm in the Church Hall.